If you search Google for the most popular sport, it will give you plenty of resources which all point to soccer as the top one. It’s not a surprise considering that fans of the sport are estimated at 4 billion people. Beyond association football, there are so many opportunities to play the game anywhere. Regardless if it’s professional or casual, you’ll need the best soccer cleats that will let you bring your A game to the field every time. Soccer cleats have come a long way from the metal studs and steel toe caps of the first soccer boots ever made. They’ve evolved from just having protective qualities to being equipped with abilities that directly enhance the performance of the player. Today, the best cleats for soccer are made with care and consideration. Different kinds of players and playing conditions, among many other factors, affect the game and their performance. A single pair of soccer cleats can’t have it all, but these “best of” picks are made to excel in at least one aspect. Read through each section to find out what makes them good at the end of these reviews. This will help equip you with the right knowledge so you can make the best decision. If you want our final vote (without all the reading), the Adidas Predator 18+ wins for Overall Best Soccer Cleat. With at least 20 years of history to pull inspiration from, the adidas Men’s Predator 18+ FG Soccer Cleat is the latest edition of its line that demonstrates the power of innovation. Its looks are not close to what we’ve come to know of Predator soccer cleats from the past. This is due to its laceless construction. However, it’s still ingrained with the classic details that longtime fans have loved about it. It’s just one example of what Adidas made with this latest iteration. It applied modern technology to increase the cleats’ efficiency on the field. But, it still integrated it with the style and panache of previous Predators to resonate with old fans of the shoes. For this latest model, the focus is on control. Every element of the shoes provides some bearing on the player’s ability to handle and direct the ball. Add to that the laceless upper construction. This design eliminated the edges where the tongue would usually be. Being seamless, it gives you extra space on the forefoot to receive and strike the ball. The best thing about the amount of control this pair gives you is that it’s also intended to perform well at high speed. The ControlFrame outsole offers stability, while the Boost Foam which is built into the outsole and the sockliner is a kind of cushioning that’s both protective and responsive. People have gladly included in their reviews that it gives back a certain amount of energy in every step. On the other hand, the sockliner, which goes around the ankle for a locked-in fit, acts as the harness that keeps your feet feel like they’re properly locked-in. Speed and control in the form of good ball touch are the two main things this cleat has. It sounds to us like this would be a great pair for strikers with a plan to dominate the ball and the field at the same time. We’ve seen plenty of leather soccer cleats but never quite like the NIKE Tiempo Legend VII FG Men Soccer Cleats. It’s in a league of its own in the compass of kangaroo leather cleats. The first thing you’ll notice are the prominent ridges on the upper, made by manipulating the shape of the material itself. Some other cleats using kangaroo leather would stop at the mere use of the premium leather. They just rely on its higher quality than other materials but slack on adding extra elements that can enhance its function further. However, this one utilizes the material by creating the texture on itself to maximize its capabilities without adding on and reducing the quality of ball touch. This technique doubles as a simple yet creative design element that don’t hinder the function. The patterned leather is just one of the many characteristics that make the Tiempo Legend VII perform well. It’s infused with many of the brand’s signature technologies, marked by the trademark names associated to them that are specific only to Nike shoes. One example is the Flyknit heel on the exterior. Right where the iconic check logo is placed, there’s a patch of knit construction that integrates breathability for the foot, and makes it easier to wear through some range of stretchability and support. The same goes for the tongue of the shoes. Another is the NikeGrip technology, a mechanism that alternates textures throughout the interior of the shoe to prevent your foot from moving inside. This is Nike’s specific technology to what others would just call a locked-in fit. Additionally, Nike integrates their fit-mesh underneath the leather. It’s a thin lining that provides comfort. Instead of your foot touching the leather directly, it acts as a cushion without the thick padding. It also prevents the shoe from overstretching as kangaroo leather does have the tendency to stretch and get molded over time according to your foot and its movements. This is one of Nike’s oldest cleats with beginnings dating back to 1984. It’s always been a favorite especially with a muse like Ronaldinho. However, its versatility in accommodating several foot types is what really makes it stand out even to this day. You can be rest assured this lives up to its name because it’s does everything and more that you expect from a Legend. There’s something about the adidas Men’s Copa Mundial Football Shoes that just keeps people asking for more of it. First released in 1979, it has survived through and surpassed many soccer cleats that came after it. Yet its following only goes up and almost never dies down. It comprises of longtime fans and newcomers to the game of soccer alike. We can’t blame those who are drawn to these shoes. There’s plenty to love about them that can drive anyone to repurchase them. The exterior is made of rich premium leather. Upon close-up, looks buttery soft as if it’s already been broken in and ready to fit like a glove on your feet. While some of the other brands have resorted to the less durable kinds of leather, the Copa Mundial has stuck with kangaroo leather, which trumps all the others when it comes to durability. This is one of the reasons why it lasts as long as it does. You grow with this shoe because it’s able to get you through years of training and hundreds of games. More than the upper construction, the dual-density outsole is another feature that’s long been associated to the Copa Mundial. The comfort it gives you on the field has set the bar for other cleats to follow over the decades. This one has evenly spread out studs on the bottom, which makes it versatile in serving players of any position on the field. The upper and sole carry some of the best features of the Mundial, but everything on the inside carries the same comfort and stability that any other cleat has: die-cut EVA insole and midsole and synthetic lining. 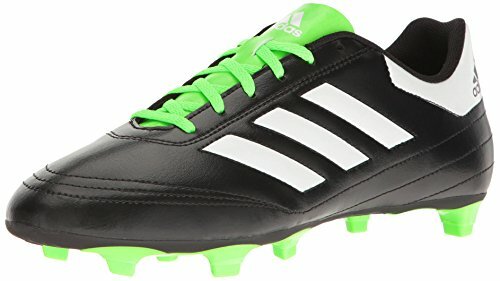 Many reviewers would claim these shoes to be the “best cleats ever” and “the best shoes for those who play serious soccer”, coming from those who’ve already loved it. However, even if it’s just casual games that you play with friends, these shoes are made for almost everyone who loves to play soccer. We keep saying that there’s no one soccer shoe that will be suitable to all. This comes close to being universal. If you’re not sure about the specifics of soccer shoes that suits you, this is a safe choice that your money won’t likely be a waste on. Any soccer cleat associated with the celebrated player’s name sounds like a great cleat for us. However, it’s not just the acclaimed player Messi’s name that brings the adidas Men’s Nemeziz Messi 17.3 FG Soccer Shoe some recognition. The well-deserved hype about this accessible soccer cleat is justified by the features that offer and reach base requirements for its price point that goes below $100. For a striker, this cleat is a great deal. It’s made with the intention of performing well for players whose purpose is to always come in contact with the ball and hit it to the goal. The Agility Bandages are also helpful in achieving a locked-in fit, but the dual lock collar around the ankle provides stability in the opening of the shoe where the foot have the most possibility to move around. It locks the foot to the shoes while also ensuring the security of the ankle through preventative measures against torsion and twisting. Lastly, what makes this truly have the Messi touch to it is the Messi Gambetrax outsole which imitates the player’s specific footprint. This unique outsole is a lightweight material that enables you to run across large distances as if you’re flying. For less than a$100, you can’t expect the best features and the latest technology on this one. However, for what it’s worth, it gives the best of what it can offer. With Messi’s name associated with it, you can’t go wrong with this when it’s intended for players like him. If there’s one thing that caught our eye about the NIKE Men’s Mercurial Victory VI FG Soccer Cleat, it’s the highly-professional and technologically-advanced look that’s evident from its upper to the studs on the outsole. From the exterior alone, it would seem like there’s a lot of thought put into the making of this cleat. The best thing is that what you might expect from first impressions about this shoe is proven true by its incredible features. It reaches the standard it set for itself, and it comes in one of the cheapest price points for a soccer cleat. From the top down, the first thing you’ll notice are the horizontal ridges. In some designs, they are colorful and stylish. They’d look like a design feature at first glance but upon touching, you’d feel the texture as they turn out to be embossed ridges. The same goes for the ball when it hits the upper. Together with the thin synthetic material, this shoe provides great ball touch.Also at first glance, the laces will trick you into thinking that there’s a tongue underneath. It actually has a tongueless construction, making it convenient and easy to put on but it still has that locked-in feeling once the laces have been tied tight. This design helps with keeping the shoe in close contact with the feet, contributing to a more intensive feel of the ball. Turning it over to the bottom, you’ll see the other unique thing about the Mercurial Victory VI: the chevron studs. It’s arranged in a pattern that enables you to utilize every natural movement used to turn faster so you can change directions quicker. This updated stud configuration is a demonstration of new technologies used for better soccer cleat construction. It was developed on the computer with the intention for it to increase the cleats’ traction and torque on the field. With these features, we can conclude that the Mercurial Victory VI is a good cleat for offensive players who go towards the front and make goal attempts. This being built for speed and ball touch, it completes the two main things strikers and forwards should look for in a soccer cleat. Many people might argue differently, but we can’t deny how Adidas have stayed relevant when it comes to producing sports apparel. They’re particularly reliable when it comes to soccer cleats. They have got it down in terms of quantity with an abundant collection. With these three best Adidas soccer cleats, it shows how they’ve also got it down in terms of quality. We don’t mind repeating ourselves if it’s about the adidas Men’s Predator 18+ FG Soccer Cleat. We know we’ve already talked about this as the best overall soccer cleat. But, you can’t help it when something this good proves itself the best in general and among its own kind. You’ll know because when everyone thought the line of Predator soccer cleats were permanently obsolete, Adidas pulls a surprise by bringing it back on the shelves. And what a way to make a comeback! First off, it reignited the hype among original Predator fans of old models from several years ago. Then as people got their hands (or feet) on it, good reviews started pouring in and various justifications of that hype and how great it is spread. Now we have enough word to back up the label best to its name. Reactions to it have actually been on the opposite extremes. Some have liked the transformation from the fold-over tongue to the laceless upper construction, while the others who have grown attached to that specific iconic style have expressed dismay about its absence. However, overall, people were still skewed towards the former. It’s easy to be forgiving when this decision results in a better cleat. The new and latest iteration of the Predator is a combination of the best aspects of its predecessors. This includes the ACE line which broke the 20-year existence of the Predators and from where the laceless feature is adapted. Now Predator 18+ marked the end of the ACE, and for good reason. It consists of some of the latest and therefore most updated technology that has been required of soccer cleats in recent time. The previously noted lack of tongue is actually beneficial for improved control by way of ball grip and touch on the forefoot. As mentioned, this cleat is built with speed and control as its points of focus. The same way that the Ace 15.1, Ace 16+ Purecontrol, and Ace 17+ Purecontrol were built before it. However, it’s also ingrained with the classic Predator details like the Adidas signature Three Stripes in white, the flashes of red this time on the sockliner instead of on the tongue, ridged upper, and the Predator signature of the extended heel. Whether you’re an OG fan or a newfound member of the gang, one thing about this soccer cleat that makes people come back is it’s almost as if it delivers the whole package. Some players will want something that this cleat doesn’t have but generally, this is carries with it features and capabilities that satisfies many requirements. 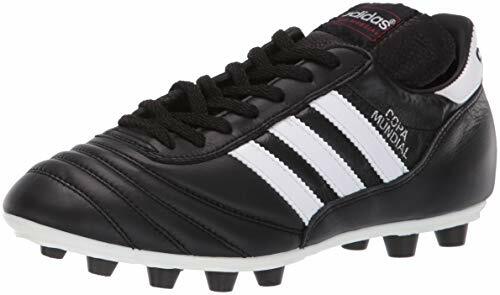 The adidas Men’s Copa Mundial Football Shoes is another repeat item in this list but even if we haven’t already mentioned it, these shoes don’t really require any introduction. 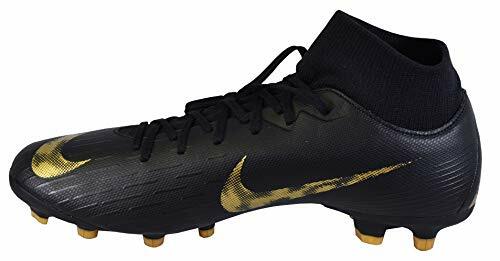 Anyone who’s heavily involved or updated in the world of soccer – professional or otherwise – can attest to the fact that these are one of the most famous soccer cleats of all time, at least since 1979. Designed for the 1982 FIFA World Cup, it’s been made with the intent of being used by professional soccer players. It was equipped with features and characteristics that easily performed well for players of any style and position. There’s only ever been a few changes since. The Copa Mundial has stayed true to its main signatures like the classic three stripe logo, tongue, and the name printed on the side that were there since the initial release. It’s a bestseller among Adidas’ lineup of soccer cleats, and a trendsetter for soccer cleats from any brand that came after it, even up to now. Many have attempted to reach its level of recognition and usefulness for soccer players but the popularity of the Copa Mundial is hard to beat with its long history. Aside from being the useful boot it’s become known for, the Mundial has always been a style statement in and out of the field. Despite having studs at the bottom and the function of the upper construction, it still manages to look fashionable. It even passes for the sneaker trends that are going around nowadays. Those who are truly unsatisfied by the lack of tongue in the Predator will find solace in the Copa Mundial which to this day comes with the tongue, and an elongated one at that. People wear it many different ways. Some cut it, but others fold it over the laces, tuck them under, or leave it covering the shin a bit. One thing you can be sure about the Copa Mundial is it’ll be able to give you a run for your money, just as the highly-technological cleats nowadays are. It’s safe to say the Copa Mundial has shaped the way soccer cleats have been made since its inception. However, it hasn’t lost relevance in the release of new cleats. In fact, it keeps up with the latest while keeping the traditions it’s evolved with. 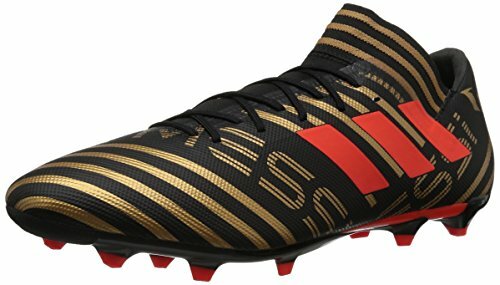 After those two groundbreaking shoes in both Adidas and soccer cleat history, we break the chain a little bit with the best cheap Adidas soccer cleat that comes in this humble adidas Performance Men’s Goletto VI FG Soccer Shoe. Its name doesn’t come as close to the iconic reputation of the Predator or the Copa Mundial, but this can compete with the previous two Adidas shoes in terms of delivering what it promises. The thing that deserves to be most noted about these shoes is that it doesn’t have the latest and greatest technology or features almost every soccer cleat that comes out in this day and age says it has. It also doesn’t claim to be the best. Before you second guess why you should even consider these shoes, it’s important to note how few models are actually honest about what they could offer. For the price point of the Goletto VI, it’s hardly believable for it to be able to contend with the more serious, more expensive, and more hard-hitting professional cleats. What it’s able to serve, however, is nothing short of lacking for beginners and casual players. It’s a lightweight firm ground cleat that provides maximum traction on a dry natural field. It’s because of this that its main feature is its speed boosting abilities. At the same time, the synthetic leather upper gives comfort in-game that lets you survive the whole game time. It’s a bare minimum requirement that not even some of the “best” soccer cleats are able to fulfill. It also ensures protection and durability, which is ideal for tackles. This boot is made for speed and stability, so you have all the necessary support you need while running and turning. With that and equally distributed studs at the bottom, this proves itself a suitable cleat for a defender. Overall, Adidas have constructed the Goletto VI with simplicity in mind. For what it’s worth, it already comes with the classic looks and sufficient features you’d be looking for in an affordable soccer cleat. Just as there are Adidas fans, there as many Nike loyalists whose things are embedded with the brand’s iconic check logo. While there may be lesser soccer cleats to choose from from Nike, they’re not behind on the latest trends and technology. Here are some of their best cleats that demonstrate their advancements relevance in both aspects. 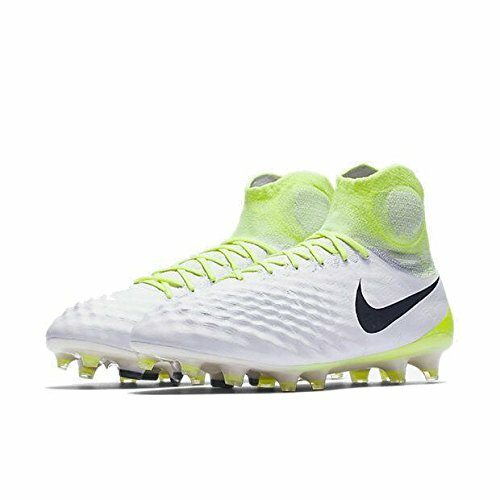 For Nike’s best overall cleat, the NIKE Magista Obra II FG Cleats can be deemed the most deserving of the label and reputation. When reading about soccer cleats, it’s normal to associate certain features with specific functions. However, instead of just features, this one associates some kind of technology with the added functionalities. The dynamic fit collar, for instance, is something that enhances the fit of the shoe around the ankle. Simultaneously, it engages the connection between the foot and the lower leg so that they can work well together for movements that require the collective effort from both parts. This is quite a popular technology that is getting common especially among top-end cleats. However, the Magista Obra II is only the second generation of a shoe that made this very feature known. It’s a trendsetter in its own right. The next best example of this cleats’ highly advanced construction is in the 3D texture that can be felt on the areas of the shoes that are often in use. This would be in key areas where targeted friction and precise touch are required, which are mainly in the sole and the upper. For the upper, it’s made with Nike’s Flyknit material, a pride for the brand. This material which is specific only to some Nike soccer cleats are equipped with breathability, stretch, and support functions..
On the other hand, there’s a pivot or rotational zone specifically on the forefoot of the outsole that enhances traction during quick turns. At the back, there are notched studs add a stopping power for when you need to cut speed or stop mid-run immediately. Overall, the entire shoe is integrated with an All Conditions Control or ACC technology that enhances ball control no matter the weather conditions. Some cleats would lose all effectivity in wet conditions but this one levels up the ball touch whether the field is dry or not from whatever circumstance. As the sixth iteration of the Nike Superfly line, NIKE Men’s Superfly 6 Academy MG Multi-Ground Soccer Cleat utilizes the key visual cues that have made people love this lineup of soccer cleats. First and foremost, this boot doesn’t take its design aspect lightly. The sleek aesthetic makes it appear fashionable to most, and even possibly intimidating for the opponent. Every detail is carefully decided and there are added benefits to each as well. If Nike hadn’t changed the names of their soccer cleats upon the release of the Superfly 6, this would have been supposedly named the Veloce DF. However, the change of name seems to signal good fortune because this turned out to be impeccable for its offerings. It has the overall design and silhouette of a typical Superfly. The sockliner ankle that stretches farther than the normal low-ankle boot provides stabilization around the ankle for quick turns. It goes down to the tongue, which in other cleats, this is called dynamic fit collar. It’s a pretty common feature nowadays, but this is what Nike calls their Flyknit collar which is unique to their shoes. The asymmetrical ridges throughout the upper up to the heel of the exterior gives a good sense and control of the ball when it comes in contact. The material isn’t as thin as the Flyknit tongue, but there’s still some sense of intensive ball touch. Like some of the Nike shoes we’ve mentioned before, this also incorporates the All Conditions Control or ACC technology. It’s layered on the top of the upper to make this shoe entirely durable through all kinds of weather. To add a bit of pride, the name Mercurial is spelled out inside the monogrammed M on the heel. Below it is a display that says “engineered for speed” for people who need a reminder. For a boot that promises speed, this offers a lot of comfort too. It’s typical for one of the two to be compromised in favor of the other, but this one doesn’t pick favorites. Like other Superfly shoes, this one has a generally narrow fit, but unless you have exceptionally wider feet than average, it will work in your favor for a nice snug fit all around. This isn’t necessarily one of the affordable options from Nike, but the benefits it offers equally justifies the amount you pay. checkSynthetic, textile upper for protection and comfort. We’ve already mentioned the best things about the NIKE Men’s Mercurial Victory VI FG Soccer Cleat as described above, but there’s plenty more to it than the speed and ball touch capabilities we’ve singled out. For both the best overall and best Nike soccer cleats category, it’s our pick for the cheap one. It’s not because this doesn’t hold up well in other labels, but it’s impressive quality is mostly in its affordability when it could have been well worth more. This is considered a third-tier model and one of the most surprising things is its dynamic fit collar. Apparently, offering that feature with the price point of the Mercurial Victory VI is extremely rare. This might even be the first third tier cleat to offer this feature, making it a pioneer and trendsetter for other third-tier cleats to come. The mid-cut ankle design is made of a thin, lightweight synthetic material. Though it’s not made of the knit material as other high-end cleats, it delivers just as well as if it’s a top-level boot. What this feature does exactly is improve the fit around the ankle with its sockliner-like construction. It makes sure your feet are perfectly stabilized in the shoes and your heels are properly held and supported. In almost every product description, one of the things that this boot boasts of is its microfiber lining material that molds to the shape of your foot the longer and the more often you use it. It also reduces the pressure that comes from the studs, which would otherwise be uncomfortable. Despite the much cheaper price tag, the Mercurial Victory VI comes with the standard materials and technology that your top-end soccer cleats come with. Though the quality might not be the same, ultimately this one delivers performance close to what you’d get with a more expensive shoe. What Makes up a Good Soccer Cleat? It goes without saying that every part of a soccer cleat is embedded with a specific purpose to improve a player’s performance. Universally, as you would have noticed in almost all the soccer cleats above, the construction of the upper and the sole determines how well the player can do in terms of speed, agility, ball spin and touch, respectively. We can say the same thing about other parts of soccer cleats, most often the insole. The choices made in creating soccer cleats, from the materials to the design, are almost never on a whim. No soccer cleat is made to be compatible with every player, so it’s a matter of knowing certain qualities that are helpful to your performance and using that as the basis for picking the best soccer cleat for you. It’s true that shock absorption in shoes is just an additional asset to the innate function of your legs in reducing strain on your feet while running. Your spine and lower legs act as your body’s natural hydraulic mechanism so your feet don’t get all the force and impact from running at high speed. However, it can’t be denied that the added shock absorption in soccer shoes help players who run and stay in the field for the entire 90 minutes of gameplay. This importance of this quality is particularly advised in firm ground soccer cleats because they’re made to be used on fields that are firmer and tougher than the artificial kind. 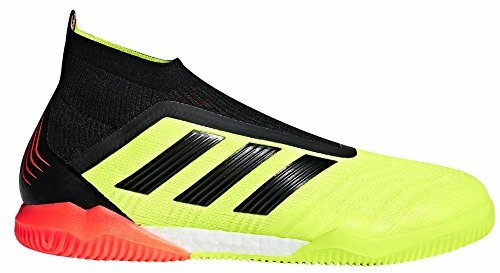 High quality materials and advanced technology must be equipped for this kind of soccer shoes to reduce the risk and chances of having sore heels afterwards or worse, long-term damage to the feet. The best soccer shoes would be labeled with certain technologies infused into the insole, midsole, and outsole for players’ consideration. The materials and the cushioning put in place specifically on the first two parts also come into play for shock absorption. For obvious reasons, the outsoles are the first part of soccer shoes that make contact with the ground, therefore the first to receive the impact of the player’s every step. However, with the construction of soccer cleats, the outsole is not typically made with shock absorption properties. Those with studs at the bottom are especially made with different purposes in mind, like for stability and traction, but shock absorption is rarely ever the first on the list of their function. You can consider soccer shoes with this quality on the outsole as some of the special few. Contrary to what you probably expected, the midsole takes much more of the impact than the outsole. Out of the three layers in the sole, the midsole has the main role of soccer shoes’ shock absorbing function. Since it stands between the outsole and the insole, it is responsible for taking the brunt and strain of a person’s weight from the upper side and the hard surface on the other. The thickness will depend on how much shock absorption the manufacturer intends for the shoes but typically, the midsole is the part that keeps the shape intact and that integrates the heel counter. As its length covers the entire pad of the foot, this part in the anatomy of soccer shoes has the power to release energy from the cleat to propel your feet out of the turf surface easily and quickly. The insole is the innermost layer that touches the feet. While we’ve established that the midsole does most of the work in absorbing force and protecting the feet from such strong impact, direct contact of the midsole and feet can be damaging. This is how the insole comes into play in terms of shock absorption, though not all soccer cleats will incorporate this function. For the most part, the insole is the one that gives comfort for the player while running and doing other movements in soccer. In turn, it contributes to better play and performance. As with running shoes and other shoes specific to certain sports, most soccer cleats are made with a man-made foam material called EVA. The importance of EVA is rooted in the fact that it’s a versatile material used for several shoes other than soccer and sports shoes. Even beyond footwear, it’s also been used for battle armor. However, it’s proven that it can support the feet as needed for intense activities like soccer. As mentioned, EVA is a material typically used for the insole of soccer cleats as well as the midsole. This is because that kind of foam has special cushioning effects that reduce discomfort by a lot, which soccer players who wear their cleats for at most 90 minutes of game time can gain so much from. Other types of cushioning for soccer cleats sometimes don’t come built in to the shoes. Some players will have extra air or gel cushions inserted into their cleats to add support and bounce, reducing the impact of their gait from their feet and legs. Almost every movement involved in the game of soccer is made to become easier when the shoes are equipped with flexibility. One of the most major ways this quality can benefit the player is in the act of running, which all soccer players do more of throughout the gameplay. Naturally, the forefoot, which is where some soccer cleats focus flexibility, takes much of the shock while running and in turn takes away the shock from the heel. Other movements that flexible soccer shoes can help with are in dribbling, striking, and maneuvering. All of these are done frequently, though by some positions more than the others. Further along this concept, the torsion, materials, and outsole have some relation to how flexibility plays out in a pair of soccer cleats. Torsion refers to a twisting motion. In soccer, this may manifest how players constantly change directions in a split second interval while running at full speed. In relation to soccer shoes, specifically their flexibility, this quality corresponds to ankle support. A flexible construction of the upper will protect your foot from possible injury that swift movements can easily cause. Driving your feet to rotate instead of flex during those moments is also another unconscious technique that flexible shoes do so as to prevent avoidable accidents. Synthetic fabrics are oftentimes stiff and can lose the original shape of the shoes when bent from continuous wear. When the upper is made of soft, thin, and breathable materials, it is able to support the player’s feet longer without being altered from its initial construction. While the materials mostly point to the upper build of soccer cleats, the outsole takes just as much part in affecting the shoes’ flexibility and weight. The outsole can make or break the overall efficiency of soccer cleats no matter how good the upper is constructed. It is comprised of the entire lower part of the shoes and more often than not, they’re attached with studs on the bottom. This directly affects the flexibility. If it’s not taken into consideration for the outsole, the natural running motion can be hindered. Simultaneously, a heavy shoe due to the outsole can reduce the player’s ability to control the ball and perform their normal motions in general. In the simplest sense, the point of soccer is to shoot as many times into the opposition’s goal and earn more points than the other team. As with many other sports, this requires control of the ball and accuracy in shooting so that (for lack of a better way of saying it), the ball goes where you want it to. However, it’s only in soccer that the pressure of performing these movements fall mostly on the feet. With that, it only follows that the two qualities are essential in soccer shoes. If shock absorption is all about protecting the feet from impact and possible damage, control and accuracy are focused on the offense. It enhances the skill of the player in kicking to either pass the ball or make a shot. It’s easy to dismiss the external appearance of soccer cleats to simply just design or aesthetic. But, there’s actually more reason to it that carries purpose to the player’s performance. What people don’t see from afar are textures and patterns that all help in better handling and dribbling of the ball. Sometimes, the textures are strategically alternated to follow the pattern on the shoe, especially on the upper and the sides where the ball would usually and potentially land. The materials used to provide texture are suede and mesh, which aren’t usually made for the entire exterior of the shoe, but only on certain parts on the toe and vamp where they’re most needed. The texture these materials have sometimes follow a dotted formation, a diamond, or other shapes. Simultaneously, the added assistance is most felt while running because as you’re trying to travel a distance at the same time, that’s when it’s hardest to control the ball. The top part of the cleat is where these wrinkled shapes appear. This is where the choice of material is highly focused. It’s carefully picked out because this part in the anatomy of soccer cleats makes the most contact with the ball and the part of the foot that does major soccer moves and techniques. Bulky materials don’t do any good when it comes to the higher portion of soccer cleats. Not even for comfort are they worth incorporating into the shoe. More so, they reduce your feet’s range of motion. Light materials, both in terms of thickness and weight, are essential if not required, in the upper of soccer cleats for delivering ball control and control. Despite not having contact with the ball, the midsole and outsole can both conspire to increase ball control. The former is equipped with lateral panels that help with motions that direct the ball in other directions other than forward. It’s particularly efficient for running and dribbling, as you don’t necessarily drive the ball in front of you while doing so. As for the latter, some soccer cleats will have ball control properties in the outsole by having a measured space and distance between the studs. This will help in enhancing a player’s striking technique, which includes having mindful control of the ball’s trajectory. Ball touch and grip both contribute to a player’s level of control and accuracy, but they can’t be achieved without getting a good feel of the ball. A minimalist shoe structure helps in this case. The term refers to the idea of soccer cleats fitting tightly but comfortably as if they’re second skin. Ideally, soccer cleats should have little cushioning if not none at all, especially on the upper. You wouldn’t want a thick material going in between your foot and the ball because that will reduce your ability to get a feel for what direction the ball will go towards and how strong your kick should be. It wasn’t until recent years that synthetic materials were introduced and had dominated in the world of soccer cleat production. Leather was considered the standard for the shoes but nowadays it’s taken a back seat to give way for technology-enabled lighter materials. However, no matter how the pros of synthetic material outnumber that of leather, there’s one quality of the latter that outweighs all the others. Leather softens with continued use and it molds to your feet over time. This makes it fit like a glove on your feet, enhancing the ball touch and simultaneously giving you control. We’ve covered the qualities best in soccer cleats. That’s still somehow different from the features you can actually see and test and other effective factors. Physical features are considerations that will depend and differ from person to person. Universally, they come down to these six things: overall fit and feel, choice between leather or synthetic, stud design, weight, durability, and field type. Unlike what you’d look for in running shoes, soccer cleats are made to fit snugly to your feet with no excess space on the toes. As much as possible, the aims should be to eliminate space for air to settle into because you’ll want your foot to be able to feel the ball as if your actual skin is touching it. It should feel as if your feet are locked in but not uncomfortable or painful. We’ve relied on leather for a long time until synthetic materials became more plausible, practical, and actually more efficient, and trends like mesh and knit came into the mainstream. Generally, the benefits of leather stand on equal footing as with the benefits of synthetic. Each has advantages of their own. However, there are different kinds of leather, with the most popular being kangaroo leather, which is known to be lighter than leather from other sources. Knit and mesh have also taken the market by storm – the former more than the latter. Adidas and Nike have made a collective of soccer cleats characterized by this material named “Primeknit” and “Flyknit” respectively. The choice comes down to the wearer as every material target different problem points that may or may not be important to you or affect you. Other features and qualities in this list will help determine which material brings out the best in you and which hinders your game. The studs underneath soccer cleats have taken many forms including shapes such as a triangle, a cylinder, and even chevron. If there’s one that’s most recommendable, it’s the conical-shaped ones as they improve grip on the surface. Judging by how many soccer cleats are made with conical studs, we can safely assume it’s a demand brands are only too happy to respond to. The position and distribution of studs on the outsole also corresponds to specific positions. A heavily-studded front is suitable for strikers, while equally spread out studs across the entire outsole is more for defenders and the rest of the players. In 2013, the average weight of soccer cleats was somewhere around 8 oz and that was already a markdown from the 9.4 oz average determined by a study in 2011. There’s no definite number for the current average but we can say for sure that the lightest soccer cleats have reached 3.06 oz in 2017, which is the Puma evoSPEED 17 SL. Soccer cleats are only getting lighter and lighter, which is what’s preferred by athletes because of the maneuverability. However, some would still choose cleats with a little more weight just for the stability that it ensures. Durability is a non-negotiable when it comes to shoes you use for intensive sports like soccer cleats. So much purpose and function go into every part of it. You should weigh in each of the parts to determine the strength of the cleats’ quality as a whole. Soccer cleats are subjected to several destructive factors such as mud, sweat, rain, and natural wear and tear. The rate by which it deteriorates will depend on how well the materials are equipped to endure such harsh conditions. Weighing in the parts starts with knowing what kinds of materials are susceptible to what forms of damage and then assessing what you can work with and not. For example, leather hardens and cracks easily once it gets wet and dries up. Generally, the sole which includes all of its layers is the first to succumb because that’s the part that gets much of the tension. Picking the best materials that target your main dilemmas with soccer cleats is the best way to uphold durability. However, the longevity of your cleats’ life will also depend on how well you care for it onwards. You can pick soccer cleats according to features that apply best to you. Picking according to the type of pitches you’ll be playing on is another useful tip that elongates the lifespan of your shoes. These are the types of fields or grounds that soccer players commonly play in: firm ground, soft ground, artificial ground, hard ground, turf, and indoor. Soccer cleats meant for artificial surfaces can be used for indoor court soccer surfaces, and vice versa. This also applies to each and every type of field there is. However, if you can’t be sure about this aspect, the safest choice there could be is firm ground cleats because they could be compatible with most other types of soccer fields. Certain features and qualities, like the ones listed above, are universally beneficial for any player and position. Every soccer cleat offers something different which may be a huge advantage of that particular model, but there are little to no consequences if they’re not used in the way that was suggested. Soccer positions, however, can benefit from a combination of characteristics that help out the specific player that performs that role. Here we single them out to determine which are truly best for each position. From their title, strikers and forwards are who you’d expect to be consistently going further into the opposition’s playing field, taking the shots, and attempting goals. Essentially, the ball is on them more times than any other players on the team. The focus of the features you’re looking for need to be on ball control and accuracy. The upper on strikers’ soccer cleats will have to be the most used because they will have to encounter the ball several times throughout the game. For reasons discussed above, you’ll want an upper construction that’s durable enough to survive kicking balls numerous times at high velocity, thin enough to allow the feet to feel the ball as if in bare contact, and can protect the feet from impact at the same time. Speed and agility is something strikers and forwards should be equipped with. This allows them to outrun and outsmart their opponents with quick movements, therefore getting more goals in the process. 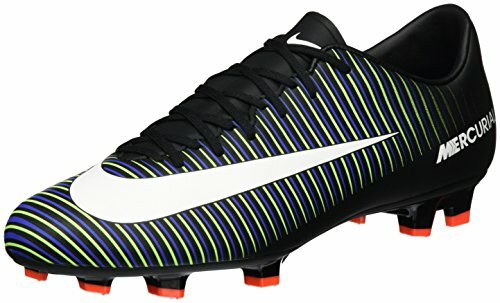 Lighter soccer cleats are best able to make these players seem like they’re effortlessly flying across the field without being slowed down by the weight of their footwear. For strikers and forwards, conical studs focused heavily on the front or toe part of the outsole are the exact position and pattern that works well for players with their role. This gives them more traction on the field as the studs on the front will easily propel them toward the direction they’re running towards, and also increase ball control for attempting goals. Midfielders are the players that connect the defensive players to the offensive players. Part of their role is passing on the ball from the defenders to the forwards, which is why their purpose requires of them to merge the skill of both positions. Two of the most fundamental skills they should possess are good passing and ball control, which their soccer cleats could also help with through these characteristics. Instead of the other team’s goal, midfielders are aiming for their own teammates – the strikers and forwards – when making a pass. This requires accuracy or else the ball will turn towards their own playing field. For this to be achieved, midfielders’ soccer cleats should be able to support them in running and making a pass towards every direction. The construction of the upper with specific textures on the vamp, and side support through the lateral panels of the midsole are some of the features that help fulfill midfielders’ purpose. Front-focused studs are specific to strikers because that feature work well for someone who plays the ball most of the time. The other type of stud design is an equal distribution throughout the entire outsole of the cleat. Several informational articles online will point out that this is the ideal for defenders, but it works for other positions too. For a midfielder in particular, this makes the soccer cleats more versatile in that it enables them to turn as quickly as defenders do to face different directions of the field. At the mention of cushioning, you might be singling out the midsole and insole in having this quality. However for midfielders’ soccer cleats, cushioning could exist in more areas than just the two layers of the sole. It can also be incorporated around the ankle and sometimes even in some parts of the external construction. It’s only natural that midfielders break up attacks because they’re at a crucial spot in the field, so this protection is vital to protect their feet from unwanted twists and other fatal feet-related accidents. As mentioned, studs on soccer cleats that are made specifically to help defenders are usually more evenly spread out. This is to make sure they have balanced support and stability for generic movements like jumping, landing, and turning in quick intervals. Defenders make turns in quick successions. Without proper support especially around the ankles, a bad turn can go awry and cause damaging torsion due to twisting. A tight collar partly resolves this problem by providing the support needed around the ankles. Ideally, it should hug the end of your leg so that there’s reduced strain on that area when doing these potentially dangerous movements. A snug fit is generally what’s advisable for soccer cleats of players in any position. It should fit as exact to the length and width of your feet as possible without extra space even for air. However, defenders’ snug soccer cleats should differ in the sense of cushion and padding. The materials used should be slightly thicker than the light materials strikers would normally opt for. This will aid them in making tackles without hindering their speed and movement in other defense techniques. There’s so much information about soccer cleats that can leave you confused and conflicted. Contradicting facts are a real thing that happens when there’s so many resources. These answers should hopefully shed some light and clarity on some things about soccer cleats for you. Do I really need leather soccer cleats? The most coveted feature about leather soccer cleats is its ability to mold itself onto your feet the more that you use it. Kangaroo leather is particularly what’s been considered the highest quality. However, that is something technology has allowed to be present in synthetic materials as well. There are so many options now in the market that unless it’s really your main preference or you’re willing to flesh out hundreds of bucks for the best, it’s not necessary to get leather cleats. Sometimes, you’ll even find better alternatives in synthetic cleats. Can I wear metal studs on my soccer cleats? Metal studs do have some capabilities that regular rubber ones can’t ever deliver. They have a stronger grip on natural surfaces, however, they can be destructive for artificial grounds. You can wear metal studs for training in the appropriate surface, but most competitions ban the use of metal studs for safety reasons for players and protective ones for most types of playing fields. How should soccer cleats fit? Soccer cleats should fit very closely to your feet – snug and tight, as they say. As much as possible, there should be no space between the skin of your feet and the material of the cleat. However, it shouldn’t cause any pain or discomfort while wearing it. There’s a big difference between snug and tight, and too small. What is the difference between FG/AG/SG? Firm ground (FG) refers to natural surfaces that are hardly rained on. This makes the ground tougher than artificial ones but more forgiving in that they allow studs to be firmly planted. Soft ground (SG) is similar to firm ground. The only difference is that it’s consistently softened by rain or by any circumstance that makes the ground have more moisture. Lastly, artificial ground (AG) is completely unnatural. It uses synthetic materials to imitate the appearance and feel of natural fields, but the mat on the bottom is more fragile and the grass blades are sharper than the real thing. Firm Ground are generally what’s compatible with most types of surfaces. It’s the safest choice if you’re someone who’s not sure about the types of fields you will encounter. 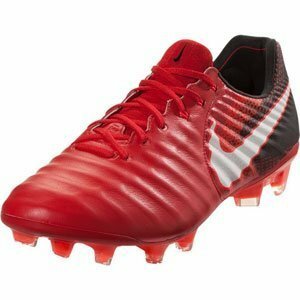 However, this type of boots are firstly suitable and the best to use in natural grass fields. There’s so much to know about soccer cleats. All these information can help you decide which ones to get. However, you won’t really know what suits you best until you try a few out for yourself. 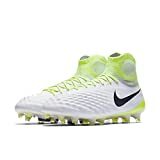 Whether you know exactly what features you’re looking for or this is your first time picking out soccer cleats, these reviews and information are your ammunition to select the most suitable one for you. In the end, it’s still your skill that will determine your progress, but at least, you’ve got something to aid you in getting ahead of the game.